A - 1, Sector - 125, Noida - 201307, UP, India. 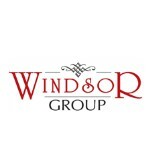 Windsor group, India's leading real estate developer was founded by Mr. Rajesh Chaudhary and Mr. Sunil Chopra 12 years back in Delhi-NCR region and since then it has been scaling new heights by each passing day. The company has set new trends of architectural finesse in the contemporary global scenario touching the horizons of excellence. The leaders and skilled professionals of the company have worked towards launching out of the league projects and take the real estate sector (Commercial, Retail and IT/ITES) to the next level. To be the most trustworthy real estate company in India by constantly delivering on time quality products and best of the services for clients and business partners.